Elon Musk finally revealed his plans for a mission to Mars today. But a new set of images from SpaceX show the Interplanetary Transport System going even further in the solar system than the Red Planet. As we speculated yesterday, the plans for the ITS do, indeed, go well beyond Mars. Musk confirmed an interest in traveling elsewhere in the solar system, especially to Europa, during his speech today—and SpaceX confirmed in a tweet and with this new artwork, as well. 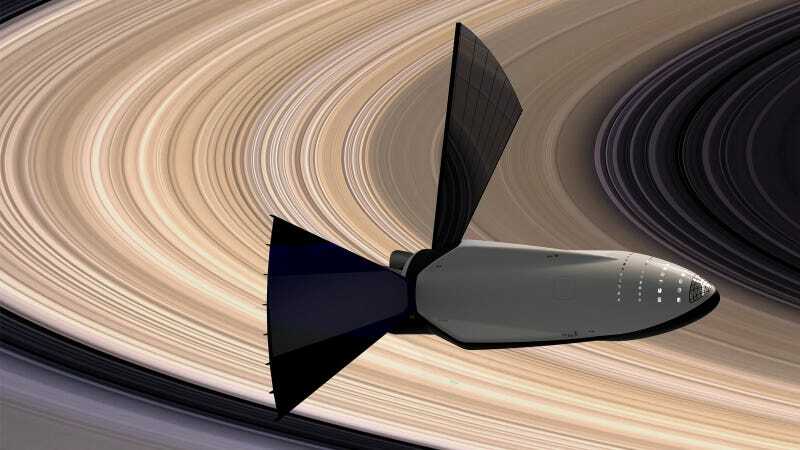 In the latest renderings from SpaceX, you can see the ITS heading past Jupiter’s Great Red Spot, and also Saturn’s rings. Other destinations appear to include Titan, Enceladus, Europa, or others. But before the ITS can make it way out there, the spacecraft has to show that it can get to Mars first.